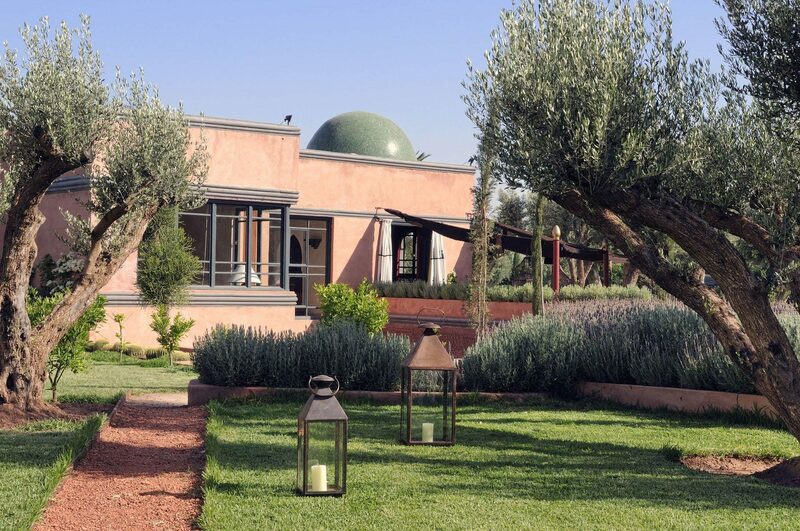 Surrounded by ancient olive trees and extensive gardens, Villa Alkhozama (meaning lavender in Arabic) is a two-bedroomed villa, which combines contemporary design with local materials, strong Moroccan colours and traditional craftsmanship. 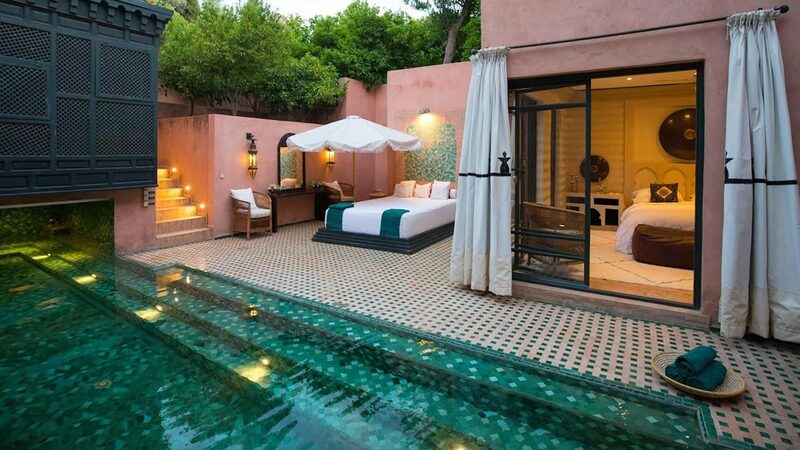 The house was designed by one of Morocco’s most renowned architects, Karim el Achak, from Agence Architecture Associati of Marrakech, with bespoke furniture and lighting by Colefax and Fowler’s design director, Philip Hooper. 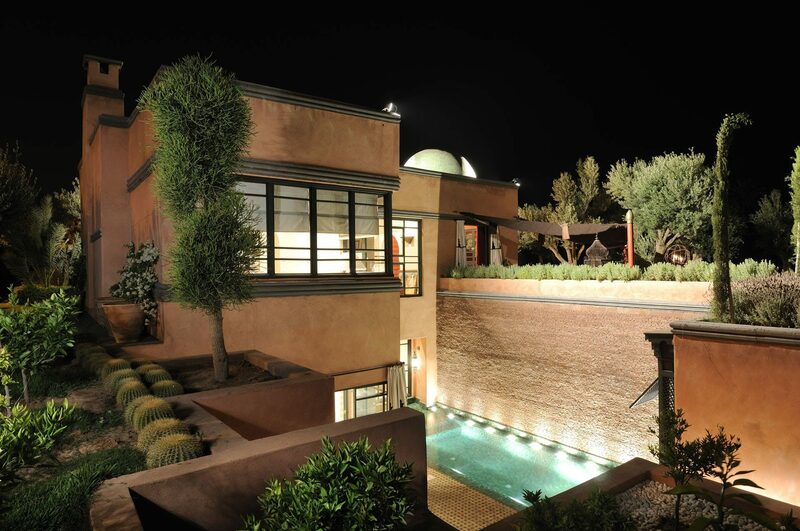 The villa descends from ground level to a lower level opening onto a twelve metre pool, with a large daybed and sun loungers. 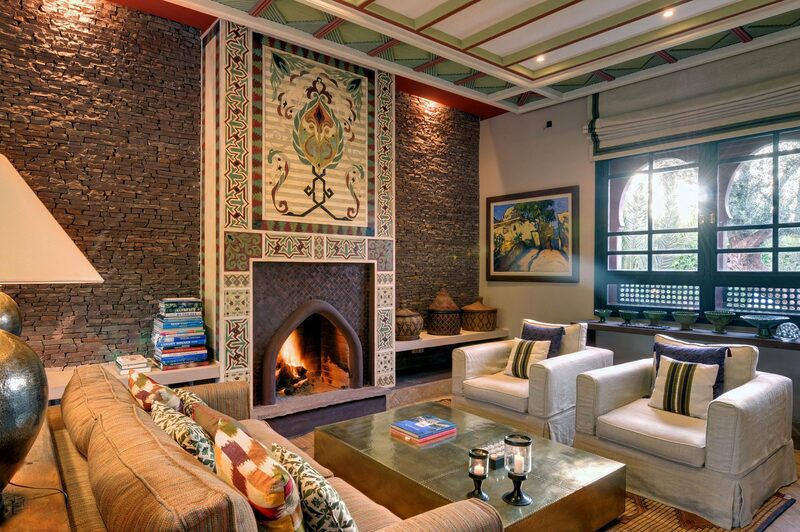 There is a shaded dining area, a living room with an open fire and a dining room with a domed ceiling with a vintage Moroccan light found in the souks. Villa Alkhozama, which cannot be seen from Ezzahra, can be rented independently or together with the other two villas. 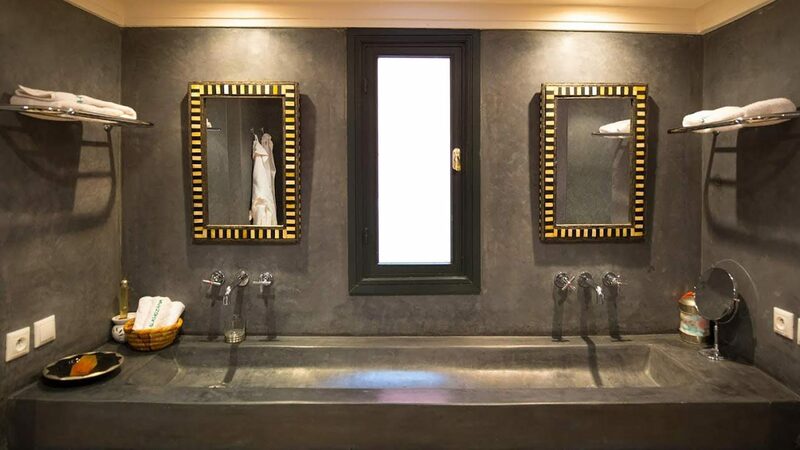 There are two double bedrooms – each with an ensuite bathroom underfloor heating and air conditioning. 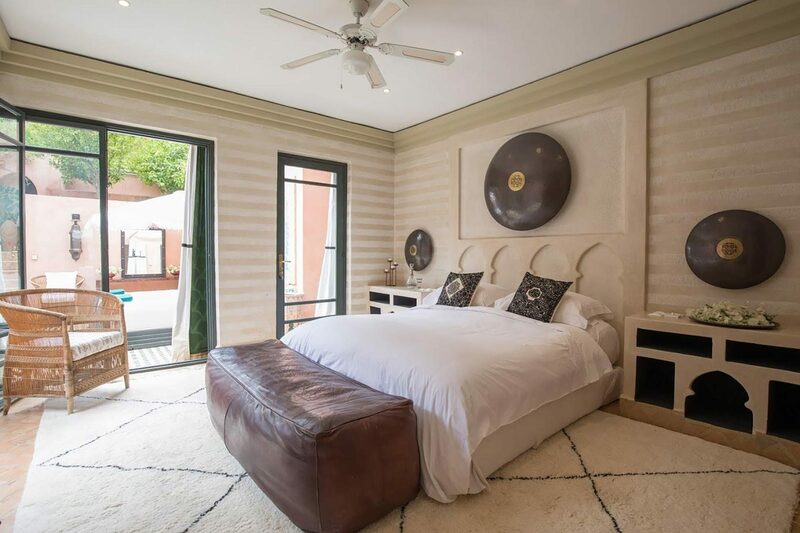 The master bedroom opens onto a terrace with 12 metre pool and a luxurious day bed. The second bedroom opens onto a small terrace with water feature. 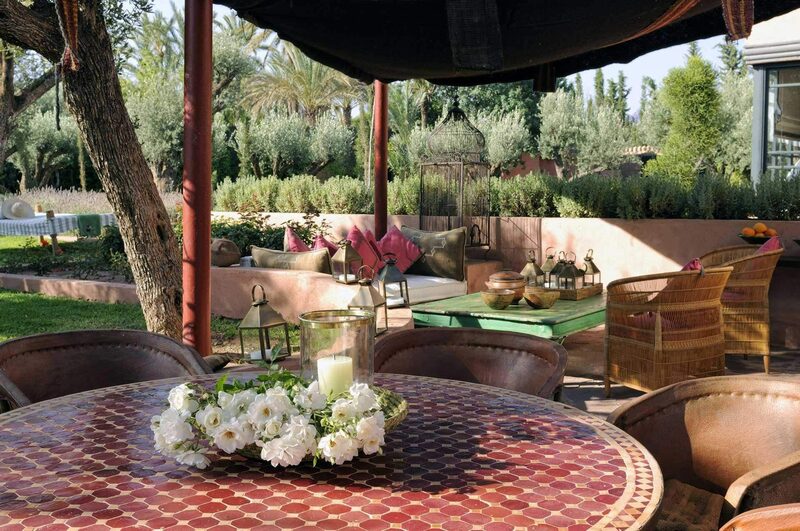 Our cook prepares a daily changing menu featuring Moroccan and European dishes made with locally grown seasonal produce and comforting classics for younger guests. You will be able to choose your dishes from a wide choice of menus. 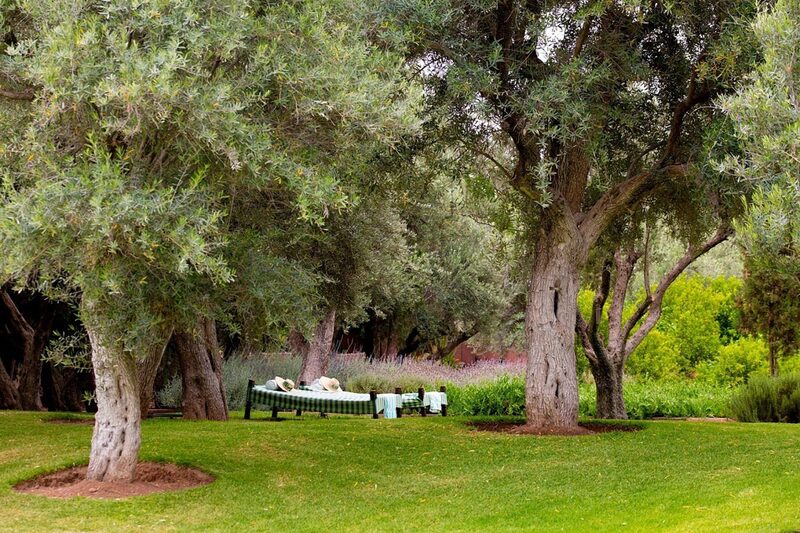 Villa Alkhozama is in an exclusive area of the Palmeraie, where small houses are hard to come by. 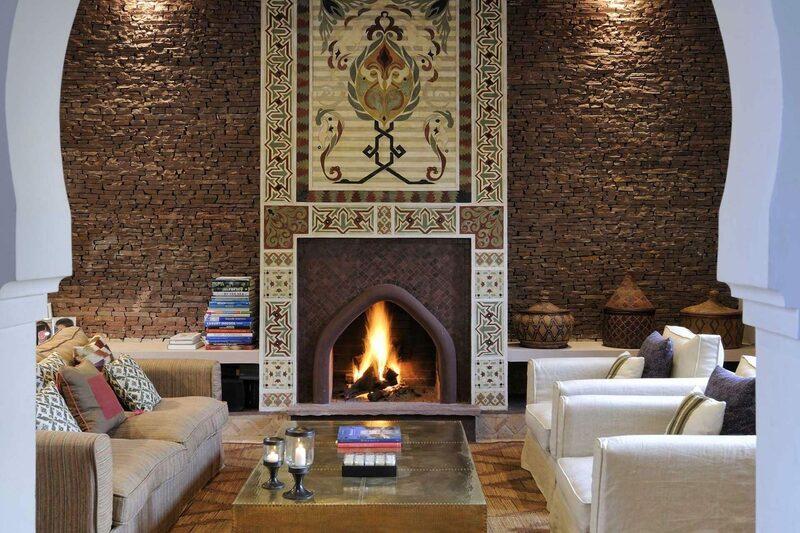 It is located 15 minutes from Marrakech’s vibrant Medina and souks and 12kms from Menara airport. Activities close to Alkhozama include horse riding, camel riding, go-karting and golf. 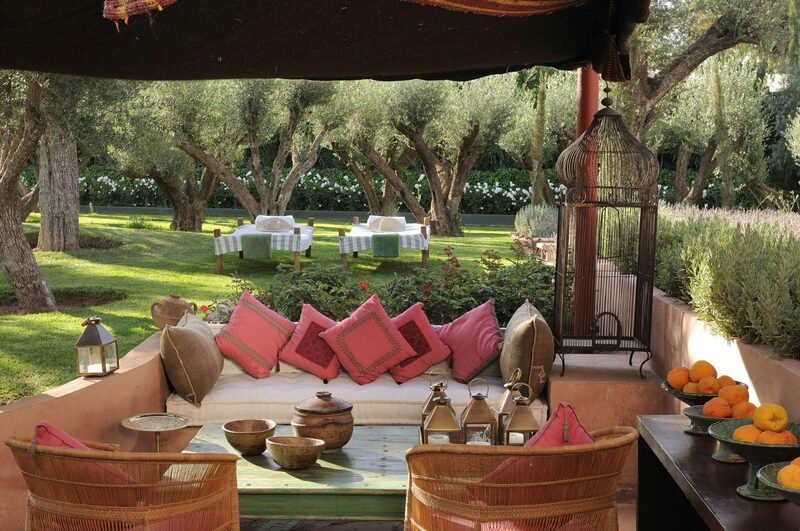 Guides can be arranged for those who wish to explore the centre of Marrakech and its many souks. Day trips to the Atlas Mountains, 40km from Alkhozama, can also be arranged including a one or two hour mule trek and a country lunch.